With the fast-paced changes that humans are making to our world, our lives are filled with technologies that are making convenience a ubiquitous aspect of our lives. At the same time, this change in our lifestyle, as well as the pollutants that arise as a by-product, are also altering our body adversely, affecting vital functions such as respiration, blood circulation, reproduction etc. Here we take a look at the environmental factors and lifestyle behavior that put males at the risk of infertility. Radiation & X-Rays: Prolonged exposure to x-rays and other forms of radiation can reduce the production of sperm temporarily. However, if the radiation is of a high dosage, it can even reduce fertility permanently. Heavy Metals: Long-term exposure or indirect consumption of heavy metals can lead to temporary or permanent infertility. High Temperatures: When the testicular region is exposed frequently to higher temperatures, the production of sperms can be reduced temporarily. Regular use of hot baths, saunas, tight clothing, laptop computers may increase the risk of infertility. Industrial Chemicals: Prolonged exposure or frequent use of products containing industrial chemicals such as benzene, toluene, solvents, pesticides, etc., adversely affect and reduce sperm count. Drugs Used in an Illicit Manner: The improper use of drugs such as anabolic steroids, marijuana, cocaine etc., can severely hamper fertility in males. Such drugs cause testicles to shrink and the number and quality of sperm being produced also go down by a large margin. Stress: Apart from causing many mental health problems, a stressful life also contributes towards many physical ailments one of which is infertility. Prolonged stress can drastically affect sperm count. Obesity: Obesity can cause direct damage to the sperm production process and also adversely affect hormones, that influence fertility in males. Alcohol & Smoking: Drinking alcohol increases the risk of problems such as erectile dysfunction, low sperm production, and decreased testosterone production, all of which lead to infertility. Also, liver damage caused by excessive alcohol consumption also affects male fertility. It has also been proven that men who smoke have lower sperm production in comparison to those who don’t. 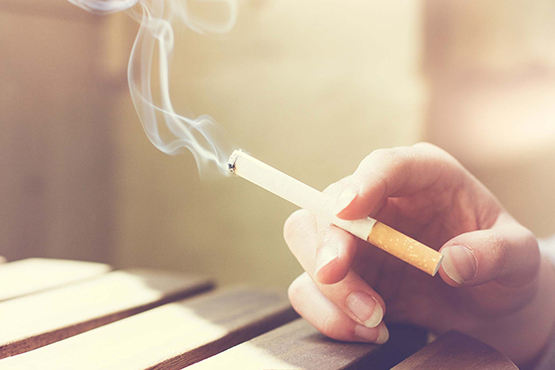 Even second-hand smoking is harmful to male fertility.